New semiconductor chips could yield 10% better fuel economy. 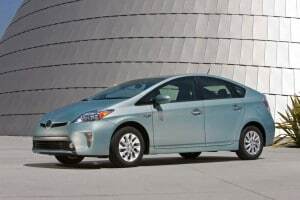 Toyota believes new silicon carbide chips could improve the fuel economy of the Prius hybrid up to 10%. It’s nearly as hard as a diamond, something that’s made silicon carbide a popular material for everything from abrasives to car brakes and even bulletproof vests. But Toyota thinks it’s found an alternative application that could yield huge benefits in hybrid vehicles, such as the popular Prius model. By replacing silicon-only semiconductors in hybrid power control units, or PCUs, Toyota and partner Denso Corp. believe they can improve the fuel economy of vehicles like the Prius by as much as 10%. The maker says it will begin testing the new system on public roads in Japan “within a year.” It says it has already achieved a 5% increase in mileage in test vehicles but believes it can make additional gains before the technology is commercialized by 2020. PCUs are critical elements in electrified vehicles, whether hybrid, plug-in or pure battery-electric. The devices channel energy from the battery to a vehicle’s electric motors, while also directing energy back to the battery recaptured during regenerative braking of coasting. But the devices can lose as much as 25% of the energy they are required to handle, and most of that is the result of today’s relatively inefficient silicon computer chips which wind up transforming electric current into waste heat. 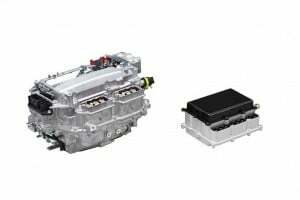 By reducing resistance in the circuit, Toyota and Denso have shown they not only waste less battery power but also can downsize a hybrid’s PCU by as much as 80%. That’s space that could be returned to a motorist in the form of a bigger cabin or cargo bay. But making the switch to silicon carbide isn’t as simple as, say, going from steel to aluminum to reduce the weight of a Prius body. “There are still enormous technical barriers,” Hamada cautioned. Silicon carbide is far more difficult to work with than the conventional silicon used in most of today’s computer chips, and it is far more expensive. But the potential payoff could offset that for both automakers and automotive buyers, especially considering the tough new emissions and mileage standards falling into place in the U.S., Japan, Europe and other parts of the world. Toyota isn’t alone in exploring the potential of the material. And it’s not just automakers who sense a possible advantage. A number of other industries rely on solid state power chips and could achieve tremendous savings by reducing energy losses. Meanwhile, silicon carbide is a popular material for the LED industry which is achieving tremendous growth in everything from home to automotive applications because of low energy requirements.